Back in August I came across the opportunity to be part of a blogger journal swap through Nancy from Neatly Packaged and Lisa from Adventures from a Dream Catcher. The chance to meet a new blogger seemed like a good idea so I signed up. To my surprise, I was paired up with Kate from relokate. Kate is a British expat living in Germany. She quit her job and decided to travel the world. I love reading her blog posts about her frequent travels. Prior to this Journal Swap, I did not know about Kate’s blog. The funny thing is that we’ve been planning a trip to Europe for next year. We visited Europe during our honeymoon and made a promise to return ten years later. One of the cities we are planning on visiting is Paris. I believe in coincidences or faith, whatever you want to call it. 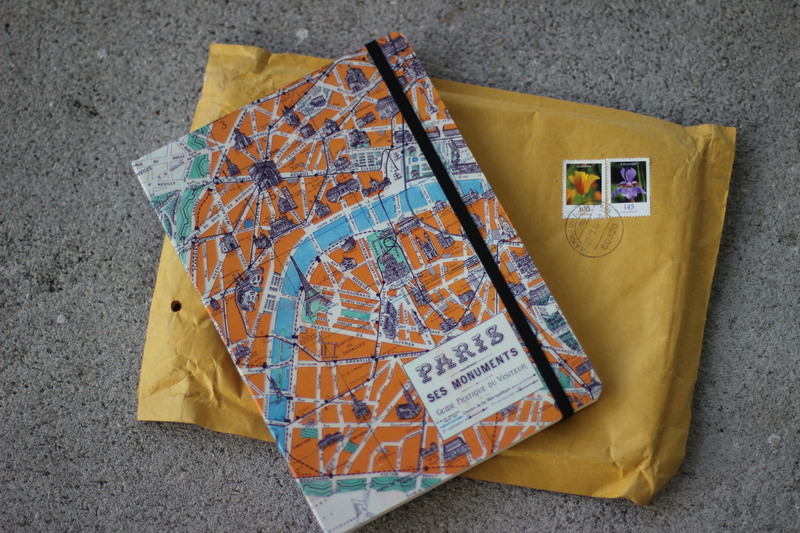 So, to be paired up with a travel blogger in Europe who ends up sending me a journal with Paris on it just made it that more special. I’ll keep you posted on our travel plans. But for now, go check her blog and tell her hi for me! Nancy recently posted…Oh… was that last weekend?